Four-time world record holder, and first to cross Antarctica solo, joins SmartRecruiters at Hiring Success 19 – Americas. This is his story. 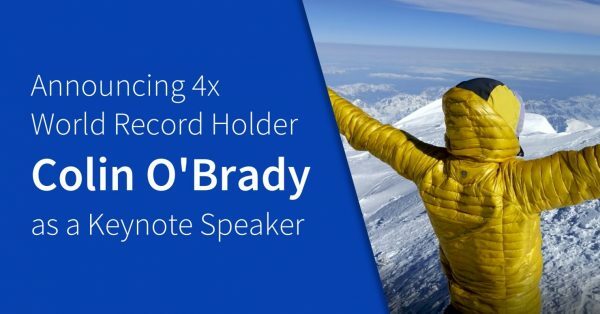 We are excited to welcome Colin O’Brady to Hiring Success 19 – Americas, February 26-27 in San Francisco (register now to hear Colin live), where he will share the details of his record-breaking trip across the 932-mile continent in just 54 days – solo and unaided. Even more humbling than this amazing feat of endurance is how this explorer encourages all of us to erase the line in our minds between the few who can achieve and the many who cannot. Rather, he hopes his journey demonstrates that we can all draw on our “inner reservoir of strength” to summit the peaks of our own ambitions. But how to start? For Colin, it started in a small hospital in Thailand. He lay heavely bandaged from head to toe. Twenty-five percent of his body covered in severe burns. Alone and fearful, he pondered the news his doctors had given him: he may never again walk normally. Just a few months prior, Colin was a recent Yale grad with his whole life ahead of him. The 22-year-old felt invincible, and—after withdrawing his savings—set out to find adventure with nothing more than a backpack and a surfboard. He found himself on a remote Thai beach one night, watching fire dancers jump with flaming ropes, he decided to join in. A moment later his leg caught in the flaming cord and ignited his whole body. Colin’s instincts kicked in long enough for him to dive into the nearby ocean… then darkness, then silence. Colin awoke in a rural hospital, alone save for a cat who would run through the clinic and jump on his bed. He realized the situation was dire. Recovery would be a miracle in the best case scenario but, in these unsanitary conditions, it seemed impossible. Colin’s mother didn’t let him forget those words. The first day home, she put a chair infront of him saying, “Today you have to figure out how you are going to get out of your wheelchair and into this chair.” It took three hours, but he finally did it. The next day, the chair was five steps away; the day after that 10. Eighteen months later, Colin was at the starting line of the Chicago Triathlon, where he swam, biked, and ran a combined 31.93 miles, beating out 4,000 contestants to take first place. 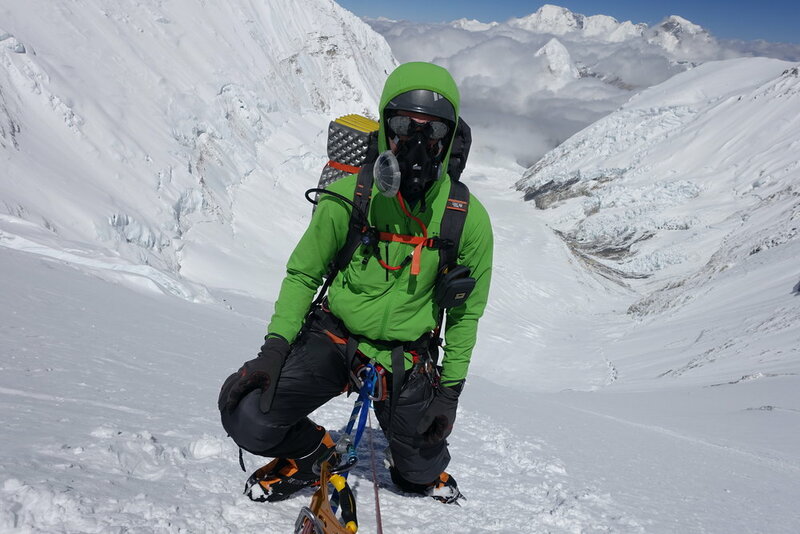 Colin set more goals for himself in a steady progression until he found himself tackling one of the most brutal ventures of strength and endurance, summiting the highest peak in the world: Mt Everest. 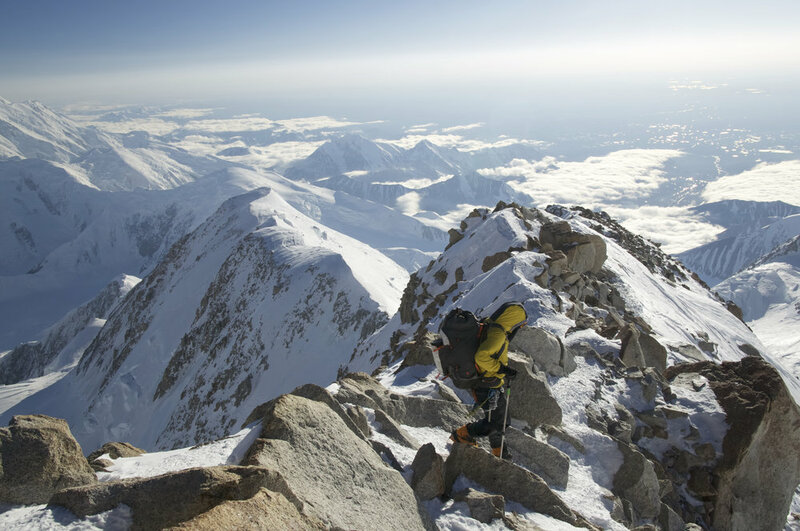 Under normal circumstances, this feat would be hard enough, but Colin planned to climb this daunting peak as part of the Explorers Grand Slam, where adventurers summit the highest peak of all seven continents and travel to the North and South poles. Colin had already climbed five of those peaks and reached both poles in the last 100 days. Now, only Mt. Everest and Mt. Denali lay before him. His eyes bulged, his face was swollen – Colin had reached what is known as the ‘death zone’, 26,000 feet above sea level – the same altitude that a commercial airline flies. At this altitude, the human body begins dying—every breath is a struggle and every step feels like a mile. The trek was hard. He left his tent at midnight with encouraging words from his wife (and expedition coordinator) via satellite phone. The rising sun illuminated the two-mile drop on either side of his path. Colin began to question whether or not he would reach the summit—that’s when he saw the chair. He knew if he could take those first steps after his accident, he could finish now. Exhausted after reaching the top of the world Colin dropped into his tent and phoned his wife to let her know he made it. “Honey, put on your boots,” she said. “What! ?” he asked, assuming she was joking. So, he laced up his boots and set out for the next challenge, taking with him a rock from Everest to remind him even this mighty mountain can be broken down to its smallest part, and any journey is possible one step at a time. Colin went on to summit Denali that same week. Completing the Explorer’s Grand Slam in 139 days. The previous record was 192 days. Now speaking about his accomplishments, Colin travels around the country to inspire athletes, students, and businesses to achieve their goals, both big and small.